His mother said, "I wanted him to study and make a name for himself, but destiny had something else in store." 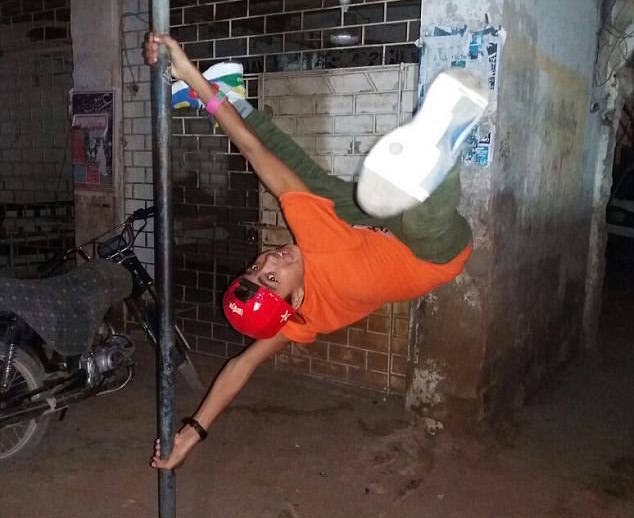 In an incredible feat of flexibility, a Pakistani teenager can turn his head 180 degrees. 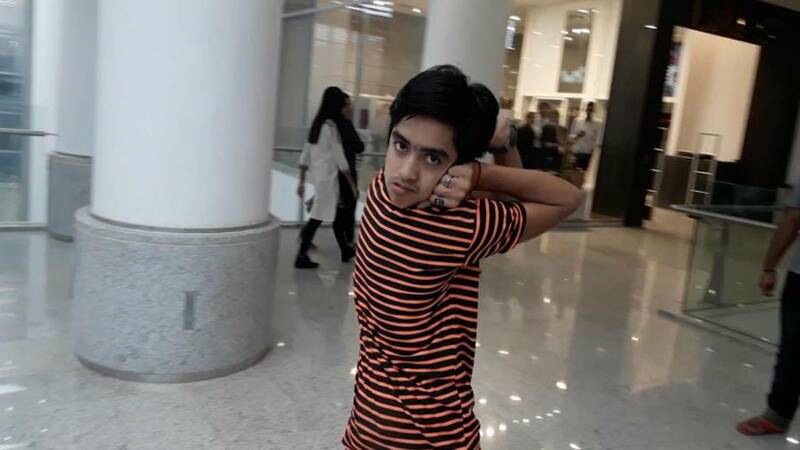 Muhammad Sameer Khan, of Karachi, Pakistan, is a 14-year-old teenager capable of turning his head 180 degrees with the help of his hands, reported the Daily Pakistan. He is also able to rotate his shoulders 360 degrees. These bizarre skills are the result of years of training for Khan. Khan uses his insane flexibility as a dancer with his group: Dangerous Boys. Personal photoMohammad Sameer Khan dancing. Since his father fell ill and was unable to work, Sameer Khan dropped out of school to work full time for the dance group. He makes around $130 to $150 a month from his performances, enough to keep his family afloat. He hopes one day to appear in Hollywood movies, just like the actor that first inspired him. Next, check out these ten utterly insane human records. Then, read about the ‘Demon Goat’ with a human-like face that terrified an Indian village.